Groundwork Denver works with the community and partners to green-up our neighborhoods and local parks and make sure that people living in lower income neighborhoods have access to high quality, beautiful green spaces. With the help of hundreds of volunteers we plant native trees and shrubs, pick up trash, and remove invasive plant species in Denver, Commerce City, and Sheridan. Groundwork Denver also works with low-income communities to identify underutilized properties for redevelopment to a use with clear public benefit. Our goal is to ensure that the community has meaningful involvement in urban planning, park planning, and redevelopment projects, and that the green space resources in these communities are accessible and high quality. Brownfield sites are a major component of our land program. The term brownfield refers to a site (vacant or developed) which is contaminated or suspected of being contaminated. Many neighborhoods are surrounded by industrial and commercial land uses which have led to blight, vacant lots and poorly maintained railroad and highway land. 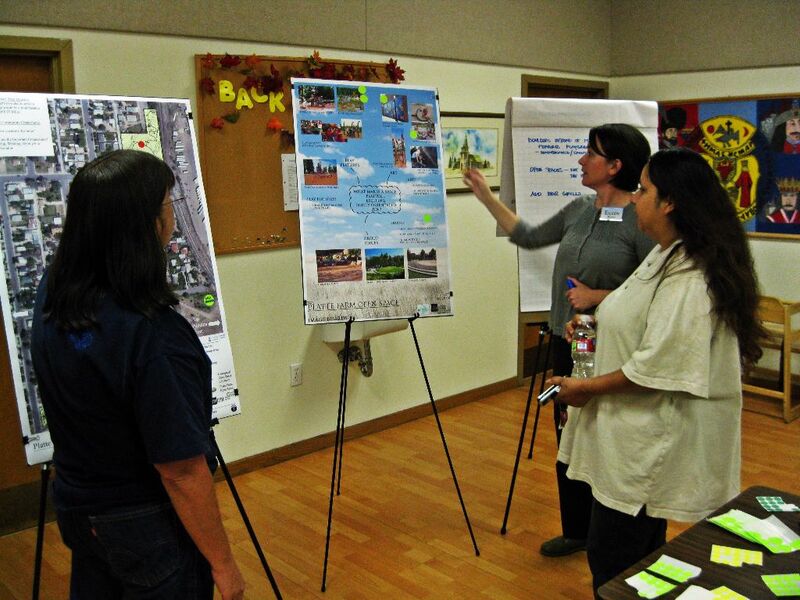 Groundwork Denver works with residents to explore alternative land uses that are beneficial for residents. Platte Farm Open Space is an example of one such redevelopment project being led by Groundwork Denver. Groundwork Denver also partners with The National Park Service, The U.S. Forest Service, and The U.S. Fish and Wildlife Service to do habitat restoration projects with volunteers and Green Team youth, connecting these groups of people to public lands and federally protected spaces near their respective communities. Groundwork Denver is currently partnered with Rocky Mountain National Park and the Rocky Mountain Arsenal National Wildlife Refuge. Our Green Team youth work on projects and learn about natural resource and wildlife management in both of these federally protected spaces. In addition to these locations, in recent years, Groundwork Denver youth have also worked in Yellowstone National Park, Grand Teton National Park, National Elk Refuge, and the Pike National Forest. The Mestizo-Curtis ParkRX Program is part of a larger effort to renovate and reconnect residents to this historic neighborhood park, located in Five Points, one of Denver’s most diverse neighborhoods. Project partners have already worked together to renovate the playground and install a new Fitness Zone in the park. 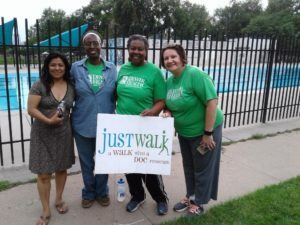 Groundwork Denver is encouraging active use of the park for all neighborhood residents and regularly hosts health and fitness activities and programs with a focus on underserved parents, grandparents, and their children/grandchildren. Examples of activities in the park are: AquaZumba, exercise classes, Walk with a Doc, Walk with a Neighbor, yoga, and others. Groundwork Denver would like to thank the following partners for helping bring the ParkRx program to life: The Colorado Health Foundation, The Trust for Public Land, The Friends of Mestizo-Curtis Park, Denver Public Health, Denver Parks and Recreation, the City of Denver’s Department of Environmental Health, and Inner City Health.